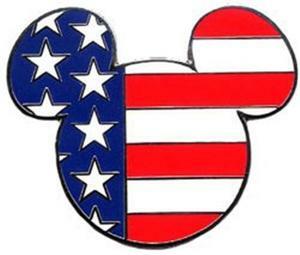 Walt Disney was well known for being a patriotic American. When he was a teenager, he wanted desperately to serve with the U.S. Army in World War I, but he was rejected for being underage. He went on to serve with the Red Cross, but his biggest contributions to the US may be what he did – and what his legacy continues to do – for American morale. Here are the top five ways to celebrate America in the Disney Parks. When Walt Disney was a young boy, his hero was Abraham Lincoln. It’s no surprise, then, that he chose Lincoln as the President to appear in one of his earliest showcases of the ingenuity of Audio-Animatronics. Today, President Lincoln and his speeches are intertwined with the story of Disneyland in a hybrid show that appears on Main Street U.S.A. Its sequel, the Hall of Presidents, is the realization of Walt’s dream to have a tribute to all of the US Presidents in a single exhibit. 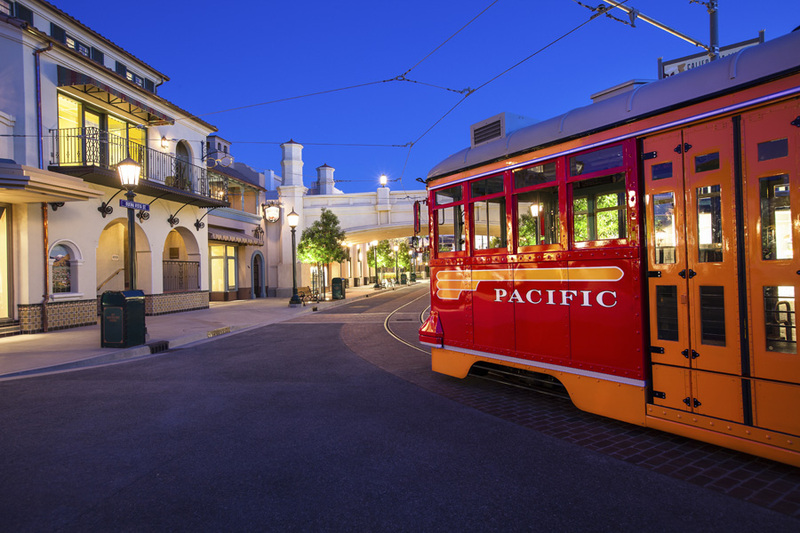 With its beaches, snow-covered mountains, deserts, and seaside fishing villages, California is representative of the US as a whole; therefore, California Adventure is not only a celebration of all-things-Californian, but also of America itself. More important than the geographic aspect of this West coast love letter, is the park’s underlying message: the power of the American Dream. When you enter the park and walk down Buena Vista Street (which is modeled to look like the California Walt saw when he arrived there from the midwest) you see the manifestation of that dream: the street moves you from gas stations and corner stores all the way to the restaurant modeled after the Carthay Circle Theater, where Walt premiered his first feature length animated film, Snow White and the Seven Dwarfs. American Dream, realized. An homage to America’s beginnings, Liberty Square is the home to several popular attractions and dining locations. The land also includes many symbols and representations of Colonial America. Some, like the replicas of the Liberty Tree and the Liberty Bell, are versions of well-known American icons. Others are representative of the detail that Disney Imagineers put into the parks: the leather straps that hold some shutters in place (the metal hinges were needed to make bullets during the Revolution); the two lamps hanging in the upstairs window of a home (“two if by sea…); and the chronological tour of American architecture, from the 17th century Haunted Mansion to the 19th century Frontierland. America plays host to many of the world’s nations in Epcot’s World Showcase. It’s pavilion, called the American Adventure, contains several attractions and a restaurant. It’s main feature, however, is the American Adventure show that is housed in the large, vaguely-familiar building that sits right in the middle of the Showcase. The building doesn’t represent any specific US landmark, but includes a variety of attributes found in colonial architecture (FYI: It is also a unique example of reverse forced perspective; needing to house an immense theater, the building is larger than it appears). The show itself is a worthy cousin of the Hall of Presidents, but featuring other major players in the history of the US, including Benjamin Franklin and Mark Twain. The legend goes: Main Street U.S.A., which is the first land to greet visitors to the flagship parks, was based on Walt’s childhood hometown of Marceline, Missouri. While this may be true to an extent, it doesn’t begin to tell the whole story. Blending reality (fire stations, barber shops) with a sense of idyllic wholesomeness (horse-drawn carriages, a fairytale castle in the distance), Main Street U.S.A. feels utopian, yet instantly familiar. If you close your eyes and picture your own childhood, the image may be vaguely similar to, but more likely influenced by, some of the things you see on Main Street U.S.A. Flags line the rooftops (FYI: They are all replicas, usually missing a star or two, so they can be left out all of the time; the only real flag is the one in Town Square, which is taken down daily during the Flag Retreat, with assistance by a U.S. serviceman or servicewoman in attendance). 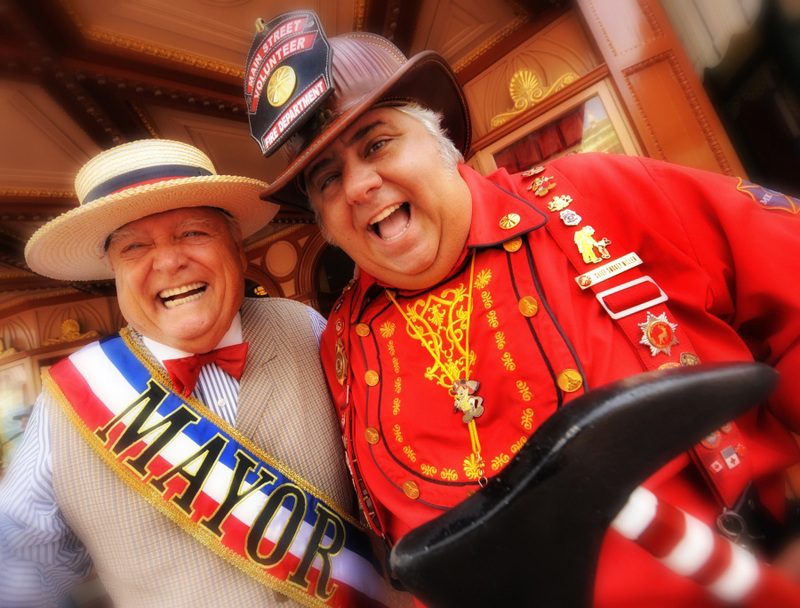 And it’s for good reason: it’s always Independence Day on Main Street U.S.A. It’s the reason for the bunting, the parade, and the mayor and his red-white-and-blue sash. And it’s why every night ends with fireworks! Happy 4th of July, everyone! DW Dads are FREE Disney Vacation Specialists who are affiliated with Magical Adventures Travel, LLC. Domenic is a married DW Dad of 3: Luke, Nick and Zack. ← We are excited to announce our new business.